Featuring QR code connections to video links for every entry, Ultimate Rock Riffs offers quick access to 100 carefully selcted Youtube videos. 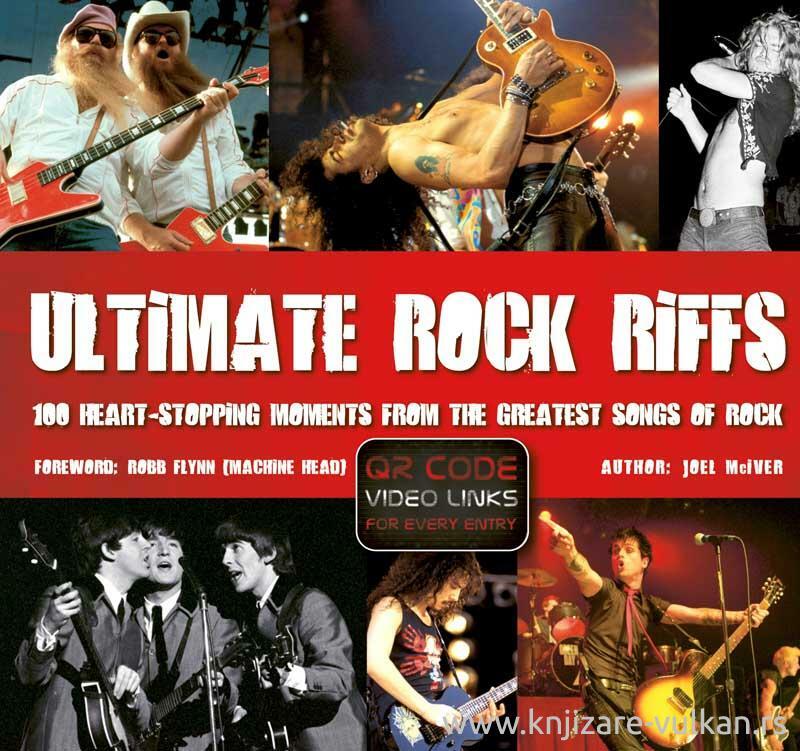 The ultimate rock riffs are the ones that you recognize from the first chord or bar – they have immediate impact and always bring a smile to the face, they are the identity and the backbone of a rock song. Everyone has their opinions on the best-ever riffs, and there will never be a consensus – but we can have a go! This great little giftbook is the ideal stimulus to lively and impassioned debate about whether Deep Purple’s instantly familiar ’Smoke On The Water’ should take the crown or perhaps it seems obvious to you that it should be Cream’s ’Sunshine Of Your Love’; you may value something a little more eclectic in Rush’s ’Spirit Of Radio’ or feel the need to champion more contemporary whiz kids Muse with their ’Hysteria’ – with entries on over a hundred of the best-loved riffs, as well as our suggestions for a Top 100 list and a Top Riffing Guitarists list, from Hendrix to Page, and absorbing text alongside iconic images for each entry, you may not reach a conclusion but you’ll enjoy the musing.